With the winter season right around the corner, it’s time to start preparing for winter road conditions. This includes the possibility of getting your car stuck in the snow. Getting trapped in a snowbank while driving can be a scary thing, especially if you’re nowhere near the main road. The last thing you want to do in this situation is panic as it will only make the situation worse. The best way to ensure that you and your passengers remain calm when you’re stuck in the snow is by being ready for it. 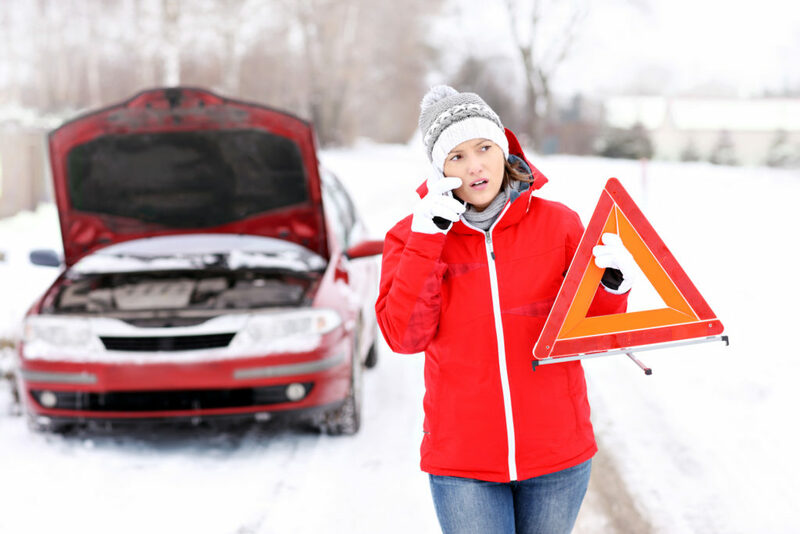 These tips will help you be prepared if you find yourself waiting for an off road towing service in the snow. Wait times for a tow truck can vary greatly depending on your location and the weather conditions. It can take a while for the tow truck to arrive even if the weather is perfect. So. if you’re in a snowstorm, you may be in for an even longer wait. This is why it is very important to call for help right away. First, call the tow truck service and be as precise as possible with your location. Providing your tow truck operator with a GPS pinpoint is the easiest way to show your exact location, especially when you get stuck in an off road situation. If you’re alone, you may want to call a friend or family member as well to come wait with you or pick you up. Once you’ve called for help, you want to be sure you can be seen from the road. Turn on your hazards and set up safety cones or road flares. Maybe place a cone on the roof of your car to draw more attention to yourself, as it may be harder for drivers to see the safety cone in the snow. It may be tempting to try to dig your car out of the snow but this can turn into a dangerous situation, especially if you are alone. If you’ve ever had to shovel the snow off of your driveway, you know how exhausting snow shoveling can be. Trying to dig out your car can lead to you slipping, falling and hurting yourself. Don’t risk making the situation worse by digging through the snow, just be sure that your windows are not covered with snow. Once you’ve called for help and made sure that your car is visible from the road, it’s time to warm yourself up. This does not mean keeping your car running with the heat on the entire time while you wait. You don’t know how long you’ll have to wait for the off road towing service to arrive, so you don’t want to quickly run through your gas tank. Also, if your tailpipe is blocked by the snow, it will not function properly. In that case, leaving your car running for a long period of time can lead to a buildup of poisonous carbon monoxide gas in your car. If you can do it safely, clear the snow away from your tailpipe. Otherwise, the best thing you can do is to blast your heat as high as it goes until your car is nice and warm. Then, you shut off your car. Once the temperature starts to drop to an uncomfortable level, turn your car back on to heat it back up again. Keep doing this until your tow truck arrives. The key to waiting for an off road towing service in the snow is to stay visible, safe and warm. At Accurate Towing Service, we offer reliable off road towing services for whenever you find yourself stuck in a bad situation. All of our drivers are trained and certified in all aspects of towing and recovery, from off road recovery and emergency vehicle recovery to towing services and tow truck repairs. Our specially modified tow trucks can get your car out of the snow before you know it. If you’re in need of a rescue, contact us now!